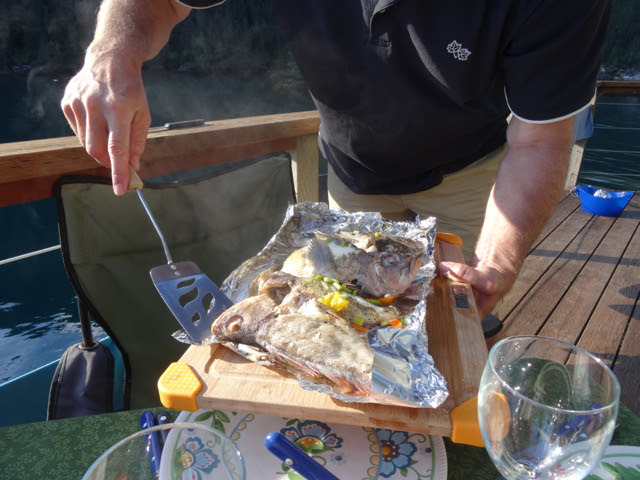 Cooking at Orca Island Cabins is all part of the ‘glamping’ experience. Each yurt is equipped with a stove, oven, barbecue and some of the cooking basics (think olive oil, salt and pepper). We also provide coolers, but you’ll need to bring the ice to keep them cold. Once at Orca Island Cabins, the menu for your adventure is completely up to you. 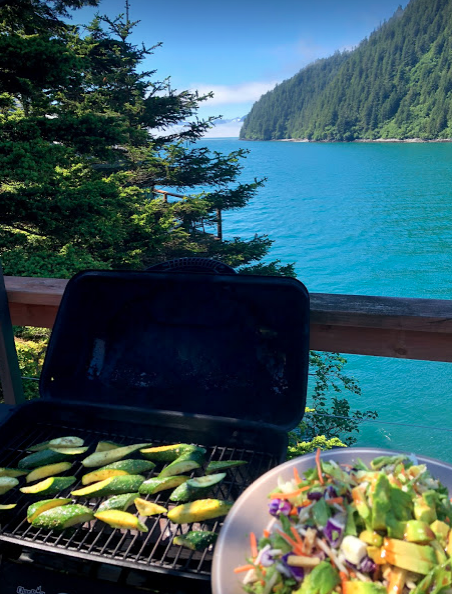 You can stock up on fresh fruit and veggies from the local supermarket before you arrive and spend your first day at Orca Island catching rockfish or you can bring all the supplies to cook up burgers on the grill. You’re the head chef at Orca Island Cabins! 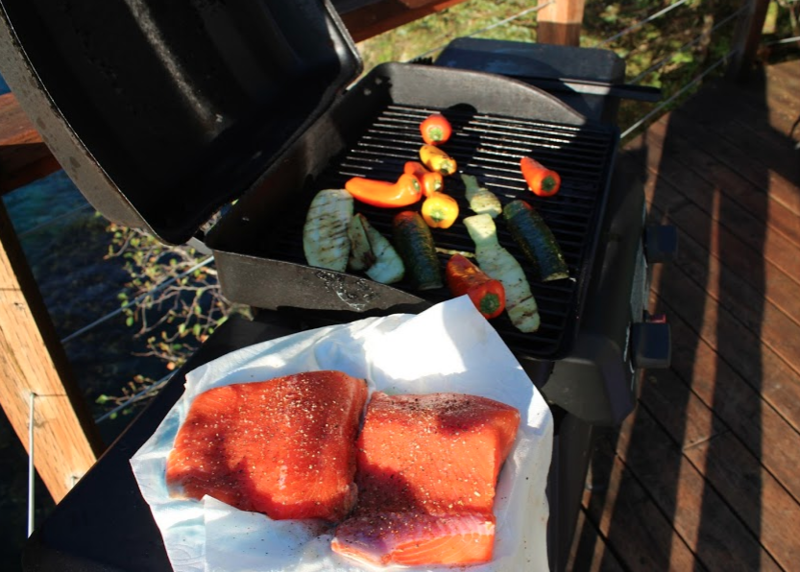 One of our favorites is cooking fresh salmon on the grill. It’s a simple, but delicious way to enjoy a bite of Alaska (whether you catch the salmon or buy some at the dock before getting on the water taxi). Start by rubbing the salmon in olive oil and then sprinkle a healthy dash of salt, garlic powder and fresh parsley on top. Put the salmon on the grill for about 5 minutes each side, or until it starts flaking easily with a fork. Garnish with lemon wedges. 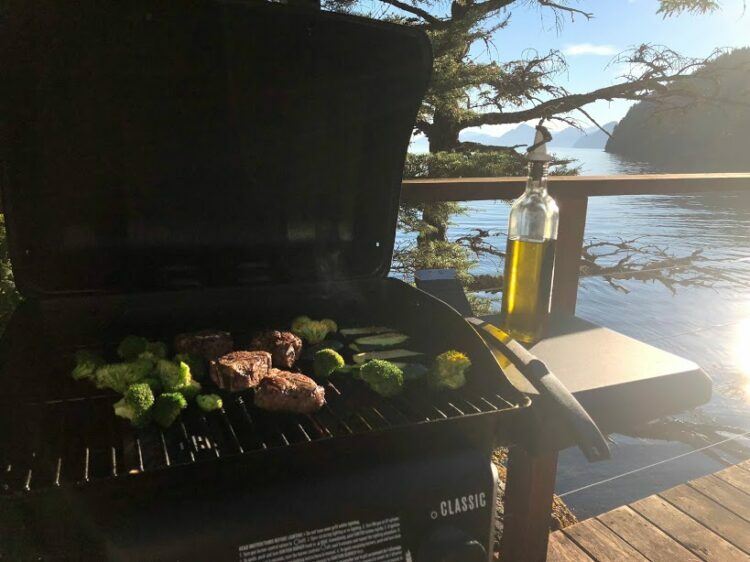 Whether it’s the catch of the day or a good old fashioned s’more, we can’t wait to see what you cook up during your stay at Orca Island Cabins.